Global transportation company Uber has sought the services of a U.S.-based Ghanaian woman to enhance the corporate culture of the company, which has recently had troubling times. 40-year-old Bozoma Saint John is the company’s first chief brand officer hired last month to turn around the $68 billion company’s image riddled with scandals including sexual assault allegations leading to the resignation of CEO Travis Kalanick in June. “Well, I’m not naive about that at all. And by the way those things are very serious. Again it’s about trying to be the representation for what I want to see. You know, I want change,” Bozoma said in a recent interview with CBS News acknowledging the huge task ahead of her. She was a marketing executive at Apple Music after joining the company following its acquisition of Beats Music which she joined in 2014. “I want things to be great for people of color and for women. For us to be able to show up at work, do our best work, and be appreciated for that work. There’s gonna be lots of challenges … But I’m hopeful,” she added. Who is Bozoma Saint John? “In Colorado Springs, Colorado, my family moved there, we were the first Ghanaian family in Colorado Springs. By the time I went to college, there were four or five families who were there,” Bozoma proudly mentioned her roots in the interview with CBS where she explained how she emigrated with her family from Ghana at the age of 12. Bozoma Saint John, née Arthur was born on January 21, 1977 to father Rev. Dr. Appianda Arthur – who was a member of the Parliament in Ghana from 1979 until the 1981 coup d’etat – and mother Aba Arthur who sold clothes. Eight years after the coup d’etat, the family including Bozoma’s three younger sisters emigrated to Colorado in the United States where she continued her education. “The first few months were really hard. Having a name that people can’t pronounce,” she told the New York Times. Bozoma acknowledged her mother’s zeal to ensure they stay connected to the African culture. She graduated from the Wesleyan University in 1999 and moved to New York to work menial jobs. She ended up in Spike Lee’s advertising firm where she was introduced to marketing campaigns among others. She took a marketing job at Pepsi where she met her late husband – advertising executive Peter Saint John who died of Burkitt lymphoma in 2013. The single mother worked at Pepsi for almost a decade before joining Beats Music in 2014 and subsequently, Apple, after it bought Beats for $3 billion same year. 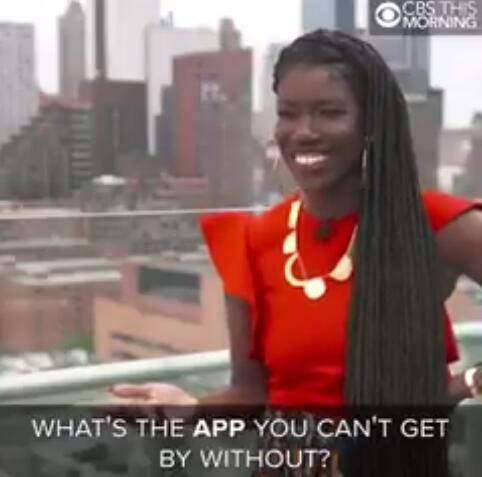 Bozoma was the head of global consumer marketing for iTunes and Apple Music and this gave her the opportunity to be the first black woman to present a product at Apple’s developers’ conference last year. With Uber, Bozoma Saint John says she is not afraid. “I’ve never been afraid of anything and I see potential. I see opportunity. There’s certainly things that have happened that I don’t condone, that I’m not comfortable with and I’m not okay with, but I think representation matters too,” she said.